The Galapagos Hawk uses the same nest over and over, adding twigs and other nesting materials each year, resulting in nests that become quite large. The Galapagos Hawk is the largest resident land bird in the Galapagos Archipelago. The Peregrine Fund is working with local students and conducting research to learn more about the Galapagos Hawk and to protect it and its habitat. 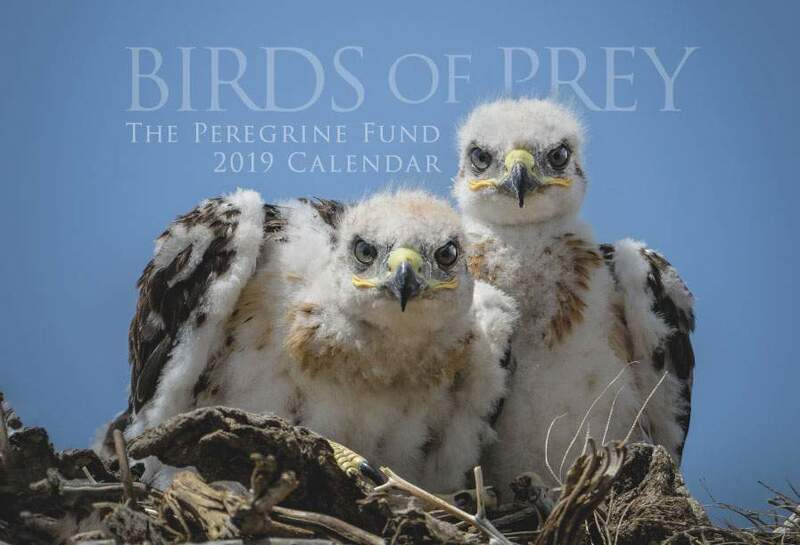 Since 2008, The Peregrine Fund has collaborated with the University of Missouri Saint Louis, Galapagos National Park Service, and the Charles Darwin Foundation to research the Galapagos Hawk. We also are training Ecuadorian students in raptor research and ecological monitoring methods. The Galapagos hawk is found only on the Galapagos Islands These volcanic islands in the Pacific Ocean are located off the coast of Ecuador, South America. The Galapagos Hawk once occupied all 18 of the main islands but is now believed to be extinct on five of them. This island raptor never migrates. 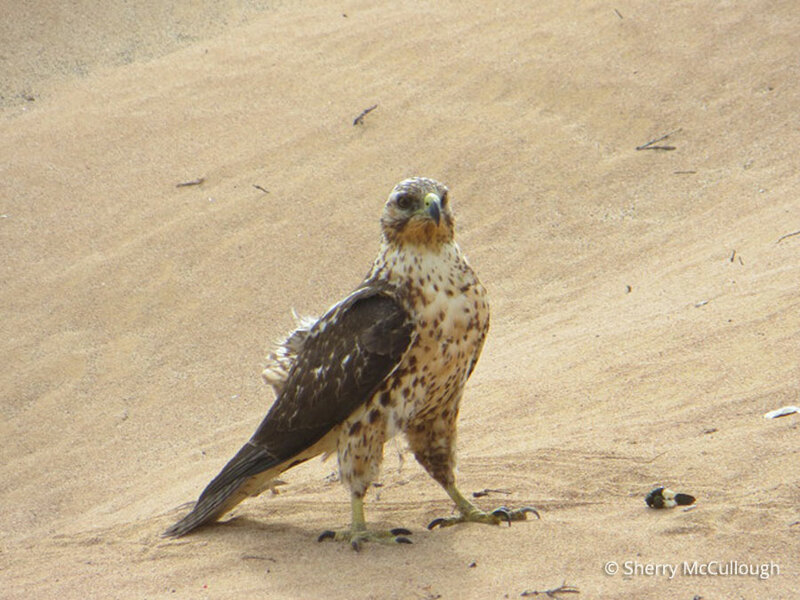 The Galapagos Hawk is roughly the same size as a Swainson's Hawk. Its adult plumage is black except for some chestnut on its underparts and a grey or brown tail crossed by nine darker bands. Its cere, feet and legs are yellow and its eyes are brown. Young Galapagos Hawks are buff-colored, mottled with dark brown. 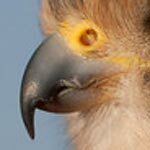 Like the Philippine Eagle, the Galapagos Hawk is a top predator. That means that by being on the top of the food chain, it hunts other animals for food and has no predators of its own. That is the difference between a predator and a top predator. Let's look at snakes, for example, which are predators, but not top predators. Although they feed on mice, birds, and other prey, snakes also are hunted by many other animals, including raptors and mammals. For most top predators, humans are their only threat. Top predators, such as the Galapagos Hawk, play an important role in nature by helping to control populations of prey animals and maintain a balance in the ecosystems where they live. 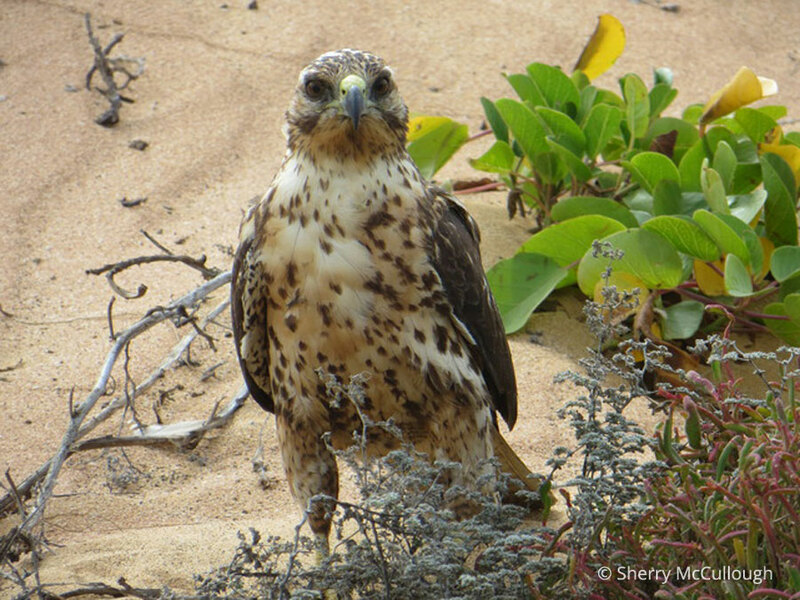 Like many animals on the Galapagos Islands, the Galapagos Hawk is not afraid of humans. The young, in fact, are very curious. Often, one can get very close to them without frightening them off. 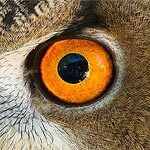 This can be a fun experience for anyone interested in birds, but it can be dangerous to the young hawks if they encounter someone who wants to harm them. Scientists have many theories as to why much of the wildlife on these islands don't show fear of humans. One reason may be because the islands were not occupied by people until the last century or two and so the birds didn’t learn to be wary. Scientists have discovered that populations of wildlife living on islands are more vulnerable than those living on the mainland. This makes sense as island species have nowhere to go and often are unable to cross large bodies of water to reach better habitat. When their habitat or food base is lost, they can no longer survive. Even many birds are not adapted to make long flights to the mainland. This is the case with the Galapagos Hawk. Its population is declining due to loss of habitat and prey, introduction of exotic species, and persecution by people. One of the biggest problems in the past decades has been human-caused. The Galapagos Hawk was eradicated from the islands of Floreana, Santa Cruz, San Cristobal, Seymour, Daphne and Baltra, and severely reduced on Southern Isabela. Introduced invasive plants and animals are altering the hawk’s habitat and affecting its prey. Without sufficient food, Galapagos Hawks cannot survive. 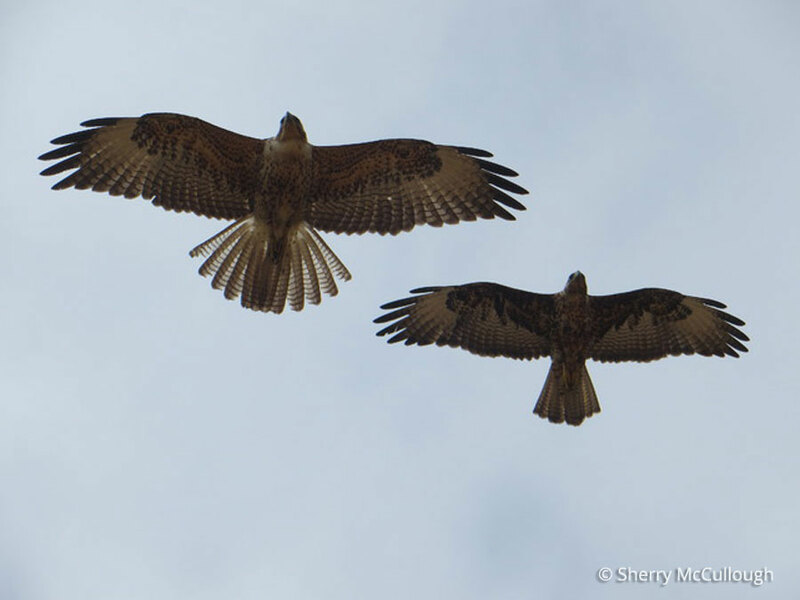 With only about 150 known pairs, these beautiful hawks need everyone's help in order to survive. The Galapagos Hawk uses its sharp and powerful talons to catch a wide variety of prey. It feeds on seabirds and land birds, lizards, marine and land iguanas, insects like centipedes, baby tortoises, and rats (endemic and introduced). It has been known to take nestlings and even eggs from some nesting seabird colonies. These hawks also scavenge on carrion (animals that are already dead). Similar to the Harris' Hawk, the Galapagos Hawk often hunts in teams. Usually 2-3 birds will work together to spot prey. They hunt by soaring in the sky and using their keen eyesight to locate quarry or a juicy carcass to feed on. These hawks have even been observed perching on the backs of the large Galapagos Tortoise, perhaps giving them a good vantage point for seeking insects and small mammals. Galapagos Hawks have interesting nesting behavior. As with Snail Kites, one of the pair is monogamous and the other is not. During one breeding season, female Galapagos Hawks mate with up to seven males that all help incubate the eggs and feed the young after they hatch! Their nests are large stick structures lined with soft materials such as grass. The hawks build their nests on the ground, in trees, or on mounds of lava. The female lays 2-3 eggs that are white with brown spots. The female and all the males care for the eggs, which need to be incubated for about 38 days. Imagine how hard it would be to sit almost continuously on the eggs for that long. While many birds do it, Galapagos Hawks have a much easier time with so many individuals to help. Despite all the effort and all the caretakers, most often only one chick is raised from among the eggs in a nest. The young remains in the nest for another 6-8 weeks before it fledges, or flies for the first time. When young hawks turn 3 years old, they are ready to find their own mates and raise their own young. The World Center for Birds of Prey offers fun ways to learn about birds of prey. Interactive activities, tours, interesting videos and a children's room with activities from coloring sheets to quizzes to costumes await you. At our visitor center, you can see many hawks up close and learn about the wonderful and interesting adaptations they have in order to survive in their respective habitats.